Today, on the first day of Federal Parliament, FPDN was proud to stand alongside national Aboriginal and Torres Strait Islander leadership organisations to deliver a strong message to Prime Minister Turnbull, his government and the Parliament: – the relationship with the First Peoples of this nation must be reset. 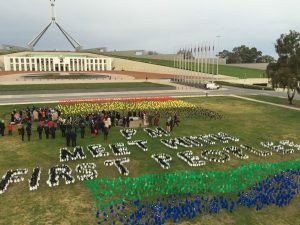 Following on from the historic Redfern Statement in June this year, the national representative body for Aboriginal and Torres Strait Islander Peoples, – National Congress of Australia’s First Peoples, along with peak national Aboriginal and Torres Strait Islander organisations united in front of Parliament House calling for a new era in Aboriginal and Torres Strait Islander Affairs. national Aboriginal led Local Area coordination of the National Disability Insurance Scheme (NDIS). 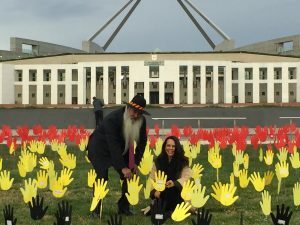 Listen to co-chair of National Congress of Australia’s First Peoples talking to Patricia Karvelas on ABC’s Drive program here. 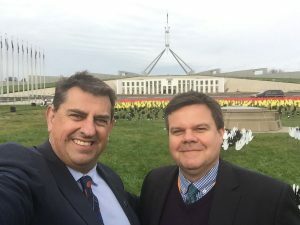 Read the opinion piece from the Dr Jackie Huggins and Rod Little, co-chairs of the National Congress of Australia’s First Peoples here. Read FPDN’s 10-point-plan for the implementation of the NDIS in Aboriginal ad Torres Strait Islander communities here. Download the Redfern Statement here.